TyreComp’s barometer ranks the top three most popular tires across 15 countries in Europe each quarter of the year. The countries used for the ranking are: Germany, Austria, Belgium, Denmark, Spain, France, Ireland, Italy, Luxembourg, the Netherlands, Switzerland, Portugal, Great Britain, Sweden and Poland. 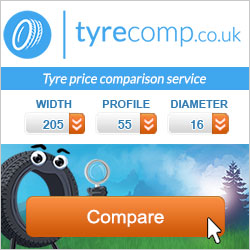 The information for the barometer is gathered from the websites of the TyreComp group, for the category of cars, although other kinds of tires are also found on the comparison website. The categorization does not take into account the size of each market. For the third time in a row, Michelin has been the number one tire brand in Europe. The number two spot went to Continental, followed by Bridgestone. Goodyear was a close contender to the third place, and other popular brands include Hankook, Pirelli and Nexen. The Michelin brand is the favorite among France, Luxembourg, Great Britain, Belgium, Spain, and Denmark. It was also the second favorite brand in many countries, proving its popularity across European markets. Continental was the top brand in Switzerland and the Netherlands, whereas Bridgestone was the favorite in Portugal. Surprisingly, Pirelli came in number three in Italy, and Michelin did not make the top three of that country. Moreover, Goodride made the top three of three different countries, Poland, Sweden and Italy. You can review the first and second quarter barometers. Or contact TyreComp’s team if you have any questions.